So as the weather is getting better and I am eating well - I find myself searching the net for new salad recipes for both lunch and supper which will be both tasty and filling. Well - I found a gem of a salad which I know I will be making over and over. Liz over at The Lemon Bowl has really hit the nail on the head with this salad bringing together some awesome flavours. You need to make this salad. Pronto. 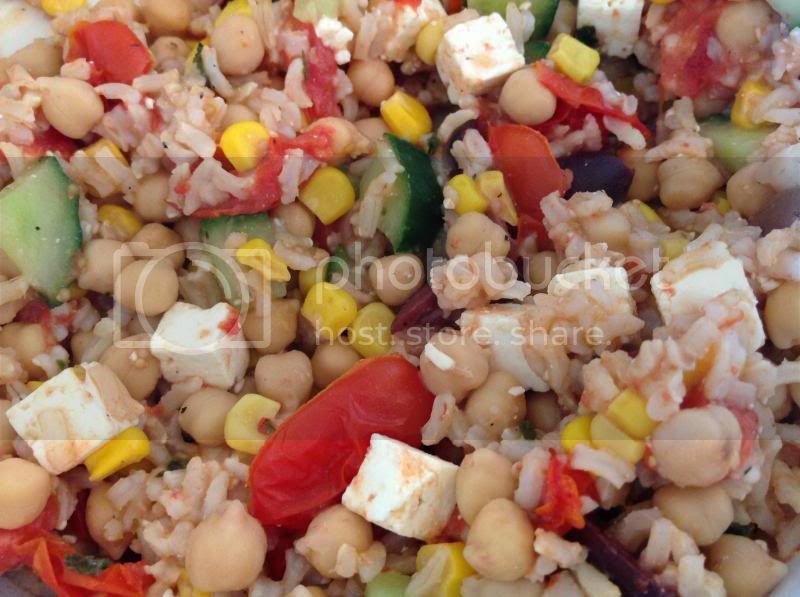 ♥ In a bowl, mix together the chickpeas and rice along with the tomatoes, corn, olives, cucumber and feta cheese. For best results and yumminess refrigerate for a few hours as this is best served cold. You could add a finely chopped red onion or some fresh chillies if you want a bit more zing!